Learn What Every TV and Film Actor Needs To know To Create and Reveal Genuine Emotion, Thought and Feelings That Books The Job! How your face expresses emotion, thought and feelings for the camera! 2 Live Events in Los Angeles! Check out this short video to see if you if these seminars are a good fit for you. Sunday, 6/11 from 11am - 12:30pm Held at On your mark studios 13425 Ventura Blvd Ste 200. Sherman Oaks, CA 91423 "​CLICK HERE to Register"
Whether you are an actor just starting out or seasoned or someone in the face to face biz, don't miss this eye opening and game changing seminar. You'll discover what you were never told about on-camera acting and camera technique. Your face speaks an emotional, cognitive and emblematic language. Understanding this language is not only critical to your on-camera success but your everyday communications. The secret to how the camera picks up your subtle thoughts, feelings and emotions on your face. Why only a small percentage of the actors get the majority of on-camera work and what you can do to level the playing field..
What you absolutely need to know to book the reaction shot. 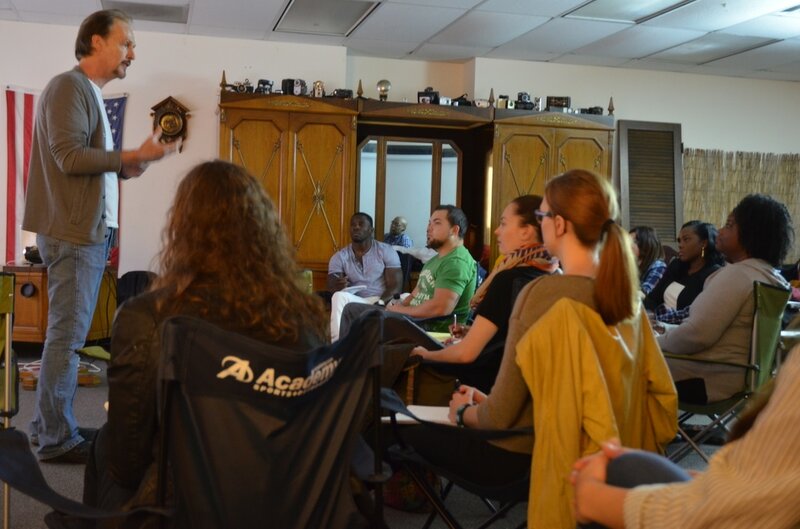 The 3 must haves to increase your odds of having a successful TV & Film acting Career! The 3 tools you need to have to attain a more interesting, deeper, richer emotional on-camera life! Discover the real difference between stage and screen acting. Learn why your headshot my be sending casting the wrong message. A simple shift to increase your auditions, callbacks and bookings! 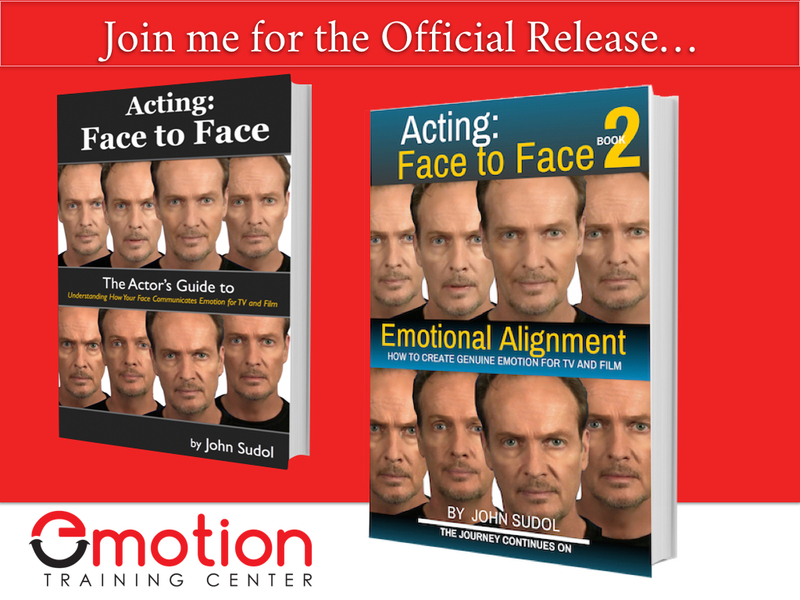 John Sudol is certified in Emotional Facial Recognition on an Expert Level and known to actors and Industry Professionals as the "Go-To" Emotion Specialist. John is a frequent contributor to several industry publications, including Backstage where he is on the team of "Backstage Experts". ​ He is also the author of a 2 best selling book on Amazon; Acting: Face To Face, the actor's guide to understanding how your face communicates emotion for TV and Film and Acting: Face to Face 2, How to Create Genuine Emotion for TV and Film. Backstage has called John's first book Acting Face to Face as one of the 11 Amazing books for an on-camera actor. Both Acting Face to Face and Acting Face to Face 2 are #1 Best Sellers on Amazon. In a recent interview in Forbes, Carol Kinsey Goman, Ph.D touted John's book, Acting: Face To Face, as "one of the best leadership books recently read." 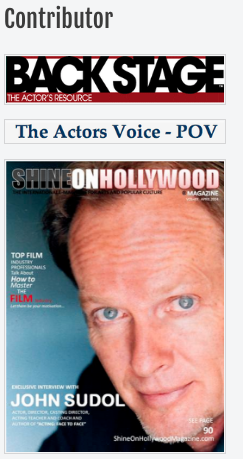 John was also featured in Hollywood's premier magazine, Shine On Hollywood. In this 90 minute free seminar, John will reveal the facts and expose the myths about emotions and on-camera acting. Join in for what most will say is an eye opening and jaw dropping event! ​ "CLICK HERE to register"
Well over 65% of all our communication on and off camera is nonverbal. Some auditions are 100% nonverbal. So if you're nonverbal communications skills are limited or unreliable, your callback and booking ratio will suffer. Stage acting is all about how the body and voice communicates emotion. On-Camera acting includes the subtleties of the face. Whether theatrical or commercial, the actor who has the skill to create and control how and what their face expresses is the actor who is going to get more callbacks - which ultimately will result in more bookings!! This seminar is guaranteed to raise your ﻿﻿EP﻿﻿. What is ﻿EP﻿? The more detailed, appropriate and recognizable your Nonverbal Emotional Communication is, the higher your EP.